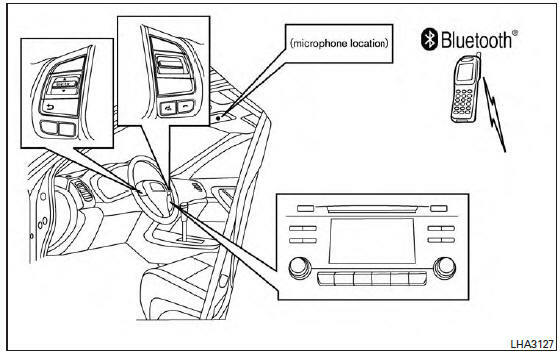 Once your cellular phone is connected to the in-vehicle phone module, no other phone connecting procedure is required. Your phone is automatically connected with the in-vehi phone module when the ignition switch is placed in the ON position with the previously connected cellular phone turned on and carried in the vehicle. NOTE: Some devices require the user to accept connections to other Bluetooth® devices. If your phone does not connect automatic ally to the system, consult the phone’s Owner’s Manual for details on device operation. You can connect up to five different Bluetooth® cellular phones to the in-vehicle phone module. Some Bluetooth® enabled cellular phones may not be recognized or work properly. Please visit www.nissanusa.com/bluetooth for a recommended phone list and connecting instructions.